Check out these two new clips ("Meeting Mel" and "Traffic Stop") from Anchor Bay's new suspense thriller CATCH .44. CATCH .44 will be in limited theatrical release on December 9th in NYC and Charlotte, followed by a blu-ray & dvd release on December 20th. 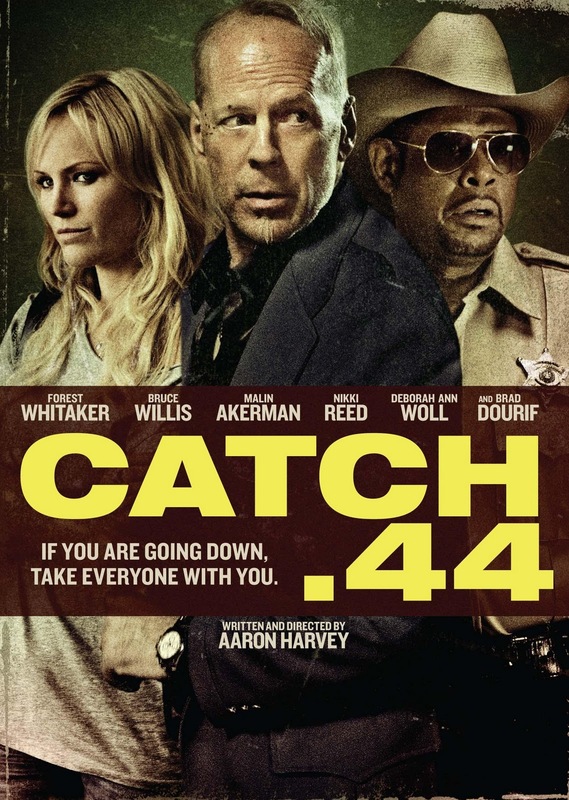 In the tradition of Pulp Fiction, Traffic and Go, and from the producers of Machete and 16 Blocks, Anchor Bay Films takes aim with the December 20th release of CATCH .44 on Blu-ray™ and DVD. Oscar® winner Forest Whitaker (The Last King of Scotland, “Criminal Minds: Suspect Behavior”), Bruce Willis (the Die Hard films, Red, The Expendables) and Malin Akerman (Watchmen, The Proposal, Couples Retreat) lead an all-star cast in this suspense thriller where everyone has an agenda...and a Magnum to back it up!